For the first-time publicly, you're hearing Natasha Hoffenden’s last cries for help. 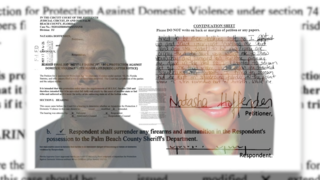 The 26-year-old West Palm Beach woman had just returned home from school when she and her husband, Gavin Washington Guy, got into an argument. In 911 calls that recorded the incident, Hoffenden can be heard crying and repeatedly stating that she was attempting to leave because she didn't want things to escalate. However, according to the arrest affidavit, Guy refused to hand over her keys and her purse. Records show the two had a heat-filled history. Guy was under a restraining order and according to state law, was supposed to surrender his guns. At one point, Natasha tried to get the restraining order thrown out but a judge refused. 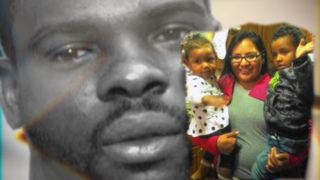 Months later, during the overnight hours of December 6, 2016 that started with an argument, an arrest report details how Guy used his own small silver caliber pistol to fire a single shot that killed Natasha, the mother of one of his children. 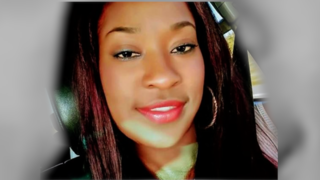 What happened to Natasha Hoffenden isn't rare in Florida. 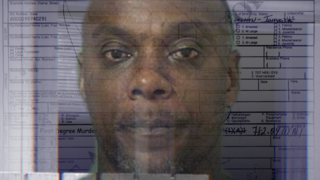 In April of last year, Central Florida investigators say Henry Brown stabbed his wife to death then shot and killed their two children and, ultimately, himself. Brown too, had a restraining order against him at the time and should not have had access to a gun. "It's a joke. Enforcing the law is the issue," said Cissy Sevelin, a Tampa-based domestic violence advocate and attorney. While the law requires people with active restraining order surrender firearms, critics like attorney and advocate Cissy Sevelin say, no one enforces it. "They'll tell the court I don't have any guns," said Sevelin. "There's nothing done to make sure that individual isn't in possession of the guns." Sevelin says Florida's system to keep guns out of the hands of an accused abuser is based on an honor system accused abusers aren't always honest about. "I will say almost every case I have the abuser will lie that they don't have any firearms," said Sevelin. In Florida, law enforcement can enter a home just to seize firearms from an accused abuser but only with a court order that's rarely, if ever, authorized. "I've never been in a case when a judge has ordered a respondent's home be searched," she said. 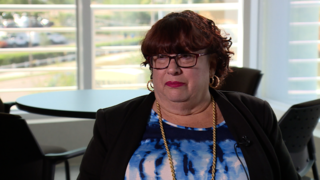 "I've never seen that done solely to determine whether someone has a firearm while they are under an injunction," said Linda Shiflet, a recently retired State Prosecutor in the Domestic Violence Unit at the Hillsborough County State Attorney's office. Records from a handful of criminal courts from around the state show of the thousands of restraining order violations documented since 2015, just a few dozen were for guns accused abusers had or refused to surrender. Sevelin says it's not because it doesn't happen. "I think the victims just don't report it, they don't know how to," she said. "It could be nobody has reported it. It could be that law enforcement doesn't have enough probable cause to look for it. It could be law enforcement doesn't feel it has sufficient seriousness to try and go get that, or the person doesn't have the gun," said Linda Shiftlet, a former state prosecutor in the domestic violence unit of the Hillsborough County State Attorney's office. "Trying to prove the absence of something is kind of hard," she said. Jennifer Jackson is one of Cissy Sevelin's clients. Jackson fears her ex-husband hasn't surrendered the guns he has or has easy access to despite a 30-year injunction granted two years ago. "I mean the paper looked great. It kind of made you feel a little secure when you initially got the injunction," she said. But after seeing a photo, Jackson says. her ex-husband posted on his facebook page holding what appears to be a shotgun, Jackson isn't feeling very safe. Jackson says the undated photo was posted to the social media site nearly a year after the restraining order was granted. "Angry, very angry," said Jennifer Jackson who has a 30-year injunction against her ex-husband. 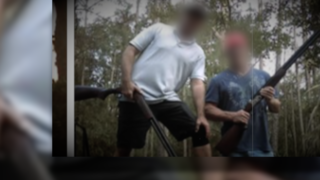 She says, he posted a photo on facebook that shows him holding, what appears to be, a shot gun. Jackson's ex recently filed a motion to have the restraining order ended or modified. Jackson plans to made a judge aware of the facebook post. Her ex-husband's attorney has not responded to our request for comment. Shiflet points to time and resources of law enforcement as possible reasons against more aggressive enforcement. Violating a restraining order for not surrendering guns is a misdemeanor in Florida. Shiflet thinks violating an injunction over a firearm issue should be a felony and subject to stiffer penalties. "I think it's better than nothing but I don't know if, at the end of the day, it's going to control whether somebody has a firearm," she said. "If someone wants a gun, they'll get a gun." On May 3rd, Natasha Hoffenden would have turned 27-years-old. Gavin Guy remains in jail and charged with first degree murder with a firearm. 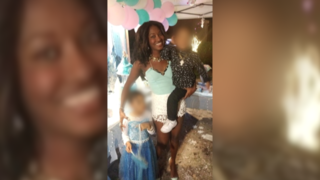 A firearm the law said he should have never had and law enforcement only found out about after she screamed her final words, "Oh my god, oh my god." States with the strongest laws on this issue like Illinois and California require firearms be turned over to law enforcement. In Florida, an accused abuser can surrender his/her guns to anyone including family or friends. Suspect your accused abuser won't surrender firearms once a restraining order is granted? If the abuser has a gun, tell the judge how many, what kind and where they are located. Ask the judge to mark a check on the injunction where it addresses firearms and to write in the county sheriff's office where the abuser has to surrender his/her guns. Ask the judge to require law enforcement go to the abuser's home and seize the guns. Order that law enforcement notify you when the guns are returned to the abuser. Did Florida's system fail you? Share your story and how you believe law enforcement or FL's court system failed to protect you from domestic violence. PLEASE NOTE: While you can remain anonymous, if you think we can help you please make sure to include your contact information so a member of our team can follow up with you. Help on the way for Florida teachers?